As promised, here’s my analysis of last night’s Weber Shandwick organised debate on the 2015 General Election, which contained in-person analysis from Sky News political correspondent Sophy Ridge. The event was well attended with people from across the economic sectors and pressure groups, such as the TaxPayers’ Alliance. The debate was chaired by one of the bigwigs from Weber Shandwick with a panel made up of the polling firm ComRes, Lib Dem MP Tom Brake, Priti Patel for the Tories, Natascha Engel representing Labour and Tim Aker, UKIP’s head of policy, and Sophy Ridge from Sky News. ComRes kicked off the discussion with a presentation on the latest polling figures. This was very interesting stuff with a number of figures jumping out to form a startling yet still very unclear view of the election result come May next year. I was reminded the Tories actually did quite well in 2010, gaining 94 seats but with 36.1% of the vote – but still unable to win a majority. ComRes repeated their claim that 38% of the electorate who will vote in the European Elections will place their cross in the UKIP box. This would mean UKIP come first in the UK European Parliamentary Elections, triggering the “political earthquake” UKIP leader Nigel Farage has talked often about. But, when it comes to the General Election, UKIP loses a quarter of this vote. 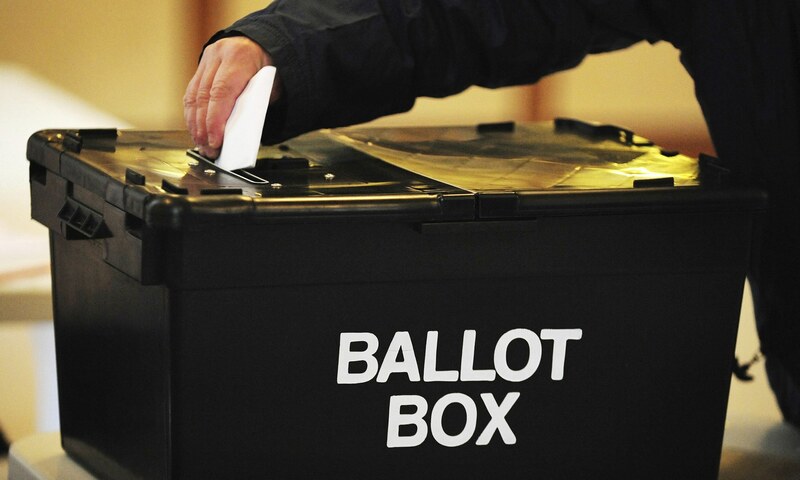 Labour and the Tories will only see 5% of their European election vote switch next year. This gives fuel to Conservative Party Chairman Grant Shapps’ argument that UKIP voters in the European elections will come back to the Tory fold in time for the General Election. Well, less than a quarter will (once you strip out those who switch back to voting Labour or Lib Dem), which is better than nothing but not enough to risk splitting the Conservative vote. Labour also only need a swing of 2% to them to win an outright majority. As Priti Patel admitted later, her “party has a challenge on its hands”. For the Lib Dems – they are sunk this year and next year having lost three quarters of their vote since 2010. Bye then. “It’s the economy, stupid”, as Bill Clinton’s campaign strategist once famously said, still resonates today. And ComRes polling on how people feel about the economy does not look good for David Cameron and George Osborne: 51% say they do not see any improvement in their economic fortunes since 2010. Labour’s campaign on the “cost of living” is a shrewd move and it will pay dividends in May 2015. When the debate switched to the politicians on the panel, we heard some interesting views from all three MPs. Priti Patel kicked off and she immediately proved once again why she has been dubbed the darling of the Right. To the extent Tim Aker later on (whilst Priti Patel was briefly away voting in the House of Commons) quipped he couldn’t speak for Priti but she certainly could speak for him! Mrs Patel lovebombed UKIP saying her party should not be attacking Nigel Farage’s party. The Witham MP also said the Conservative Party’s activist base was at its lowest it has ever been and the party in Government had alienated its members. It’s as if she was rehearsing her leadership speech for Party Conference in October 2015. She certainly ticked the right boxes for me. Labour’s Natascha Engel was a perfectly nice lady but she really is a bit of a wet blanket. She didn’t say a lot about her party or their policies but did find time to say she doesn’t like asking electors for their voting intention on the doorstep. How on earth did she get elected? It was then Tom Brake’s turn to say how wonderful the Lib Dems were in Government and that they were the ones who had done all the good things – £10,000 tax allowance was theirs of course – and the Tories had insisted on all the nasty things. Oh and it was the Liberal Democrats who had secured 1.5 Million apprenticeships too. When questioned on why they were therefore doing so badly in the polls, Mr Brake said he found that concentrating on local issues in his constituency helped keep his base on side. Well that may be so in his seat but it won’t save his wider party from oblivion at the General Election. And then UKIP’s head of policy – and fellow Essex resident (two on the same panel indeed along with Priti Patel) – Tim Aker launched his rhetoric. Straight off the bat he announced the “Lib Dems are history” (fair point) and that despite David Cameron’s promise to control immigration it was in fact back up to “Blair standards”. He even insisted that he HAD to wear his UKIP rosette whilst canvassing in his Thurrock prospective seat so he didn’t get verbally attacked! Strangely (or maybe not) Priti Patel was nodding along to Aker’s rhetorical beat. Mr Aker rounded off his commentary with “People are fed up of the three main Westminster parties. We are the alternative”. Questions from the audience were then welcomed. Jonathan Isaby, Chief Executive of the TaxPayers’ Alliance, asked a question which summed up how difficult it was to predict the General Election result when he said “What use is a national poll going to be in the General Election?” ComRes’ head of political polling, Tom Mludzinski, said in reply it was too early to predict the result but they were currently drilling down even further by polling in the 40 most marginal seats. I wouldn’t be surprised if my former stomping ground, Ipswich, was one of those marginal seats being polled. Wrapping up the evening, Sophy Ridge provided her analysis and admitted she had been to a UKIP rally recently – for work purposes only of course, she cringed. Miss Ridge homed in on a point Priti Patel made earlier when she voiced deep concern about the direction the Scottish Referendum was taking and there was a serious risk of a Yes vote. As this was a polite gathering, no one pointed out that David Cameron may have made a stupid error in allowing Salmond his vote on independence. Sophy Ridge did point out there was a chance of some strange results whereby incumbent MPs go against their party’s swing and display “limpet-like” quality in hanging on to their seats. There’s hope for Ben Gummer yet! Finally, she identified three “curve balls”: the result of the Scottish Referendum could change everything; UKIP victory at the European Elections and how David Cameron reacts to this – does he take his party to the Right allowing Labour to occupy the centre ground? ; the anti-establishment mood in the country: this is what Salmond and Farage have latched on to. Miss Ridge recounted her attendance at the UKIP rally where Mr Farage talked about Europe, immigration etc but it was when he urged the audience to give two fingers to the Westminster establishment he got the biggest cheer of the night. Interesting indeed and even if I were a betting man, I wouldn’t waste my money – despite us only having one year to go. Categories: Politics | Tags: Ben Gummer, ComRes, Conservatives, General Election 2015, Ipswich, Labour, Liberal Democrats, Natascha Engel MP, Nigel Farage, Priti Patel MP, Sky News, Sophy Ridge, Tim Aker, Tom Brake, Tom Mludzinski, UKIP, Weber Shandwick, Westminster | Permalink. This time next year will be the eve of the General Election in the United Kingdom, when we voters will pass our verdict on the Coalition Government led by David Cameron of the Conservatives and his Deputy Nick Clegg of the Liberal Democrats. Tonight I will be at a special debate in Westminster hosted by PR firm Weber Shandwick. All four main parties will represented on the panel with Priti Patel MP taking part the Tories, Natascha Engel MP for Labour, Tom Brake MP of the Lib Dems and Tim Aker, as Head of Policy for UKIP. Weber Shandwick have also teamed up with polling company ComRes, who during the evening will take a scientific look at what could be the outcome of the General Election poll in May 2015. 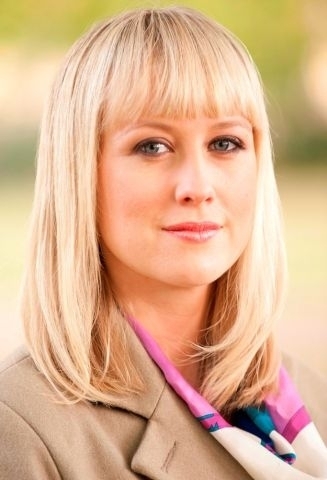 Sky News’ political correspondent Sophy Ridge will conclude the discussion with her own analysis of how the political parties will fare once they face the judgement of the electorate. Even if you can’t make tonight’s debate, you can follow and engage in the conversation online on Twitter using the hashtag #oneyeartogo. A full report of the evening will be posted soon. Categories: Politics | Tags: ComRes, Conservatives, General Election 2015, Labour, Liberal Democrats, Natascha Engel MP, Priti Patel MP, Sky News, Sophy Ridge, Tim Aker, Tom Brake, UKIP, Weber Shandwick, Westminster | Permalink. On Wednesday, the leaders of UKIP and the Liberal Democrats debated with each other on whether Great Britain should stay in the European Union. Hosted by commercial radio station LBC, once London focussed but now broadcasting nationally on DAB radio, and chaired by LBC presenter Nick Ferrari (he does not look very Italian!) the debate was a stark choice between In or Out of the EU. UKIP leader Nigel Farage came straight from the pub to the central London venue, umbrella in hand and donning a fur collar three-quarter length coat on a cold March evening whilst Lib Dem leader Nick Clegg turned up – sans coat – with a Met Police detective (I presume he was guarding him) after being dropped off further up the street in a ministerial limo. During the hour long programme, Chairman Nick Ferrari insisted on referring to Mr Clegg as Deputy Prime Minister despite the debate being a party political event between two political leaders. Nick Clegg was merely there as leader of the Liberal Democrats not as a government minister. So on to the debate proper. There was nothing new to the arguments. For political geeks it was a case of ticking off the key points one by one as they were trotted out by Clegg and Farage. 77% of Britain’s laws are made in the EU, said Mr Farage. No, only 7% are according to Mr Clegg (which was even the BBC rubbished the next day). The Lib Dem leader mocked UKIP Nigel Farage for saying 29 million Bulgarians and Romanians would descend on the UK once the transition controls were dropped on 1st January. Mr Farage denied he said they would all turn up but then cleverly stated it wasn’t 29 million who have access to our jobs and houses, it was 450 million: the population of EU countries. And, of course, he’s right. The cost to Britain of being in the EU “club” was raised by Mr Farage. It’s £55 million a day if you’re interested. The Lib Dem leader had to slip in that the NHS would collapse if we curbed immigration into the UK. *Yawn*. And, of course, Nick Clegg said we’d lose 3 million jobs if we left the EU. Mr Farage batted back that the 3 million figure comes from one academic report written in 1997 and there is no reliable evidence this is true. It was political candy for political geeks like me but I doubt much of the electorate were watching or read and heard about the debate in the copious column inches, tweets and analysis written and verbalised by the hordes of journalists, bloggers, radio DJs and TV presenters gathered in the “spin room” next to the debating hall. Who won then? The mainstream media, as Peter Oborne in the Daily Telegraph, has pointed out today (in contrast to his colleague Fraser Nelson who’s gone all “wet” on the issue of an EU debate), wanted Nick Clegg to win as that was the consensus the London metropolitan journalist elite had decided before the debate had begun. 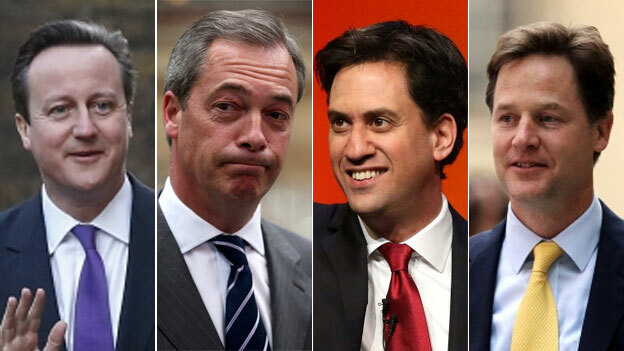 As soon as the debate ended the ‘pundits’ were calling it for Clegg and calling Nigel Farage sweaty. Then once YouGov had crunched their instant poll numbers, they quickly U-turned once the emperor public had shown the thumbs up for Mr Farage by 57% to Nick Clegg’s 36%. 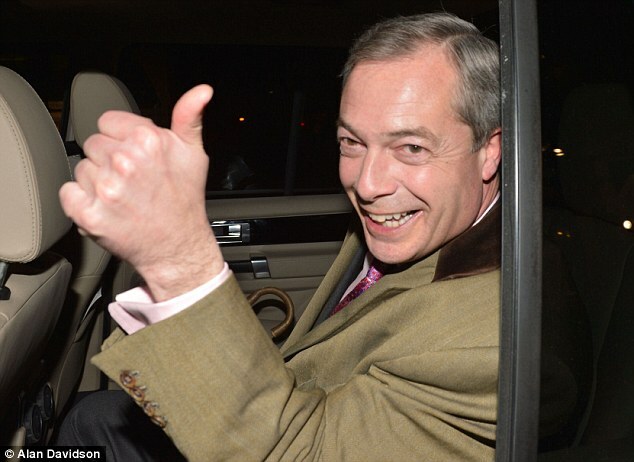 I think Nigel Farage spoke with passion and sincerity – you can see he really believes what he says. Whereas smarmy Clegg just parroted the Brussels line and showed faux shock at the Ukip leader’s views. It was interesting to hear why the Westminster journalists thought Clegg had won (especially as they go against public opinion): he spoke directly to the camera unlike Farage (except Farage did); unlike the UKIP leader, Mr Clegg called audience questioner’s by their names (except Mr Farage also did); Mr Clegg showed he’d done a few of these debates before (you mean he looked bored and drank too much water); and Mr Farage looked sweaty and shifty (errr, HD TV has been around for a while now and even this picture didn’t show a bead of sweat on Mr Farage’s brow). In short, no one really won. The views of both contenders were not a surprise. However, most people in the country will have not heard the key points on either side of the argument before so – for the electors who tuned in – it was very worthwhile having the debate for that alone. I applaud LBC for organising this debate and for Sky News broadcasting it on a free national TV platform. 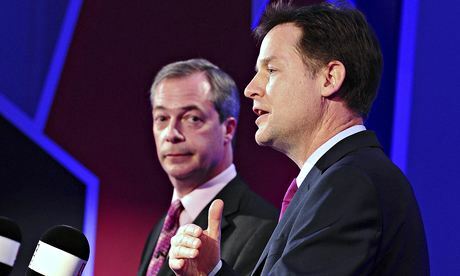 Mr Clegg and Mr Farage now do it all again on the BBC next week, when audience numbers will be far higher. This was Nigel Farage’s first national TV debate. 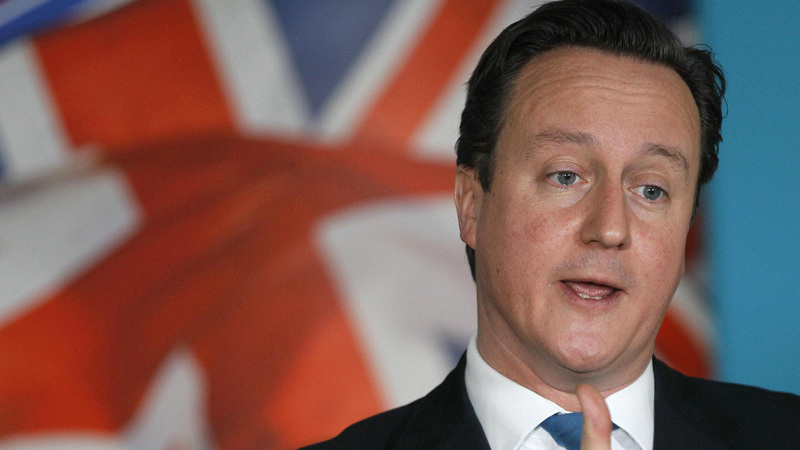 David Cameron is still resisting sharing a platform with the UKIP leader in the 2015 General Election debates but he may have no choice if the public’s verdict on Mr Farage translates into real votes in the European Elections on 22nd May. Categories: Politics | Tags: EU, Kay Burley, LBC, Liberal Democrats, Nick Clegg, Nick Ferrari, Nigel Farage, Sky News, UKIP | Permalink. First up, I’m sorry for not blogging for over three weeks. 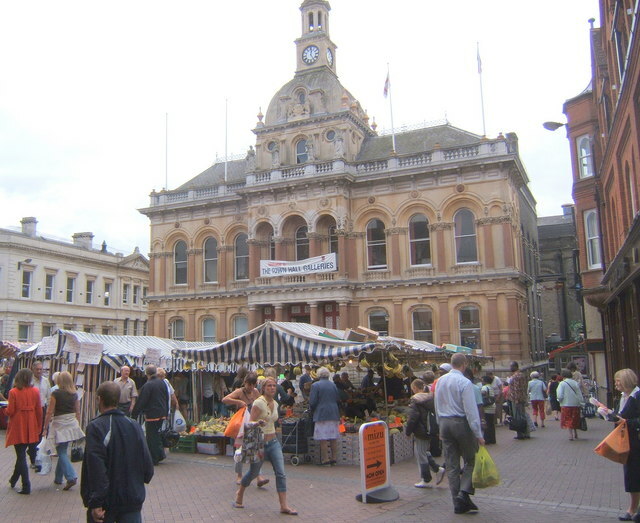 I have recently had a big change in my life as I moved away from Ipswich, where I had lived and worked (in business and politics) for nearly thirteen years, to Chelmsford in Essex. It was sad to leave Ipswich but it was time for a change and since stepping down from active politics as a local councillor and Tory activist the opportunity was there to open a new chapter in my life. But (unfortunately for some I am sure!) you won’t stop hearing from me in the electronic world as I will continue blogging on politics, mainly nationally and internationally until, perhaps, I feel the need to comment on the shenanigans of local politicians in the county town city of Essex. So here goes with another post..
George Osborne has today announced his fifth budget for UK plc, with key headlines for me being the increase in the income tax threshold to £10,500 (delayed until next year) and the big one: increasing the ISA allowance (in either cash or shares) to £15,000 from July this year. This is great news for everyone (as all are entitled to earn up to £10,500 without paying income tax) and savers, who have suffered far too long since the banks and the Labour Party wrecked the economy in 2008. It was interesting to see two MPs who I personally know – and have campaigned for – standing on the doorstep of Number 11 next to George Osborne at the customary photo op when the Chancellor of the Exchequer holds up the red box before driving off to the Commons to deliver his budget. 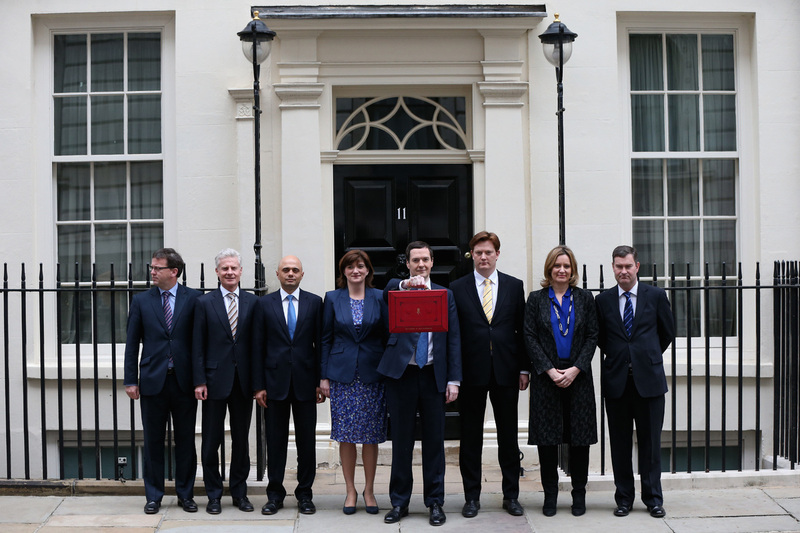 Both Nicky Morgan (Con, Loughborough), who is Economic Secretary to the Treasury, and Rob Wilson (Con, Reading East), who is the Parliamentary Private Secretary to the Chancellor, were in Downing Street with Mr Osborne for the group shot of the Chancellor’s team before he took centre stage. We had the announcement at the front-end of the income tax system on the personal allowance but Mr Osborne also told us the higher rate tax threshold will rise from £41,450 to £41,865 next month and by a further 1% to £42,285 next year. Not a lot but it will help the 1.4 million (since 2010 alone) who are, frankly, on modest incomes (especially if they are the only breadwinner) but have been dragged into the 40% bracket. Let’s not forget the LOWERING of the 40% threshold was a deliberate Coalition Government policy since 2010 to pay for the increase in the personal income tax allowance. So all in all higher rate taxpayers are still losing out – some (in fact most) will say “so what?”, as the majority do not earn enough to pay 40%, but I remind you hundreds of thousands earn just over the threshold and their increase in salary due to a promotion is then swallowed up by HM Treasury – hardly fair. I’m no where near about to retire and won’t be able to afford to do for many decades thanks to the out-of-control housing market and Gordon Brown’s raid on pensions back in 1997 when he removed the tax relief available to pension funds. But I am pleased George Osborne has started to recognise the huge problems being stored up for those on defined contribution pensions, which, if they have a pension at all, nearly everyone in the median working age group (i.e. my Generation) has rather than the gold-plated salary pension schemes (also known as defined benefit) my parents’ generation enjoy. I won’t begin to try and understand the detail (not yet anyway) but the Chancellor has removed tax restrictions, meaning defined contribution pension holders won’t need to buy an annuity if they do not wish to, and the taxable part of pension pot taken as cash on retirement is to be charged at normal income tax rate, down from 55%. Straight after the budget, Sky News went to Wakefield to interview two local businessmen (and yes, they were men!). Both interviewees were positive about the chancellor’s announcement with the key word “confidence” being used. Most ordinary workers are yet to feel the benefits of the economic fixes the Conservative-led Government is putting in place to rectify the monumental mess the Labour Party, of which Ed Miliband and Ed Balls were very senior members, left the country in 2010. But I sense a warming amongst the electorate towards the Conservatives when it comes to the economy, which will be THE most important aspect of the General Election in 2015. “It’s the economy, stupid”, as Bill Clinton said. However, David Cameron’s Conservatives have an uphill struggle if they are to actually win a general election for the first time since 1992! The constituency boundaries are skewered in Labour’s favour, thanks to the cry-baby antics of the Liberal Democrats when they weren’t given Lords Reform (something not mandatory in the Coalition Agreement although boundary changes were if Nick Clegg’s party got their referendum on the Alternative Vote system, which they did) and the general feel in the country that the Tories are still the party of the rich, which Labour leader Ed Miliband focused on again today during his budget response in the House of Commons. The surge of UKIP, to be boosted further when they may indeed win the European Elections in May, will also be a major factor on whether Mr Miliband takes the keys to 10 Downing Street or not. The yellow peril for all their puffed out chests in government (despite losing seats in the 2010 election), are an irrelevance. Categories: Politics | Tags: Budget 2014, Chancellor, Chancellor of the Exchequer, Conservatives, Downing Street, Ed Balls, Ed Miliband, George Osborne, House of Commons, Labour, Liberal Democrats, Nick Clegg, Nicky Morgan MP, Number 11, Rob Wilson MP, Sky News, UKIP | Permalink.